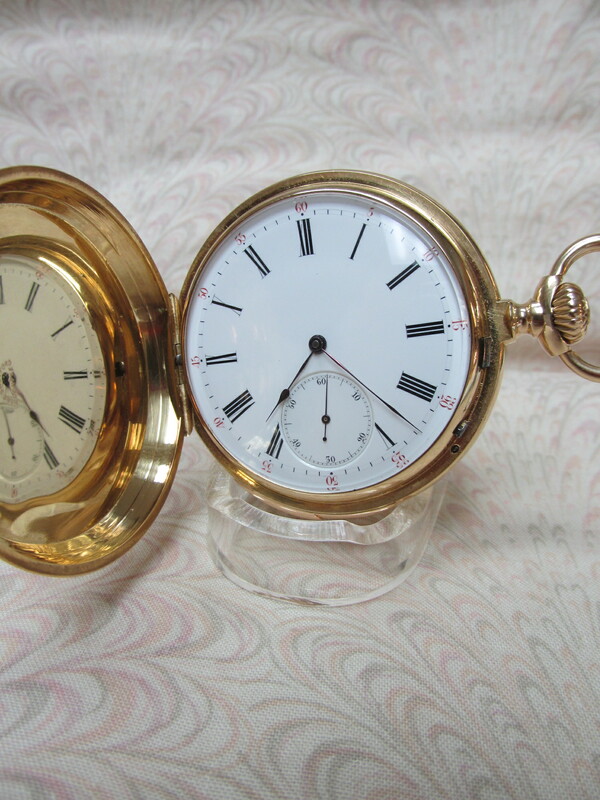 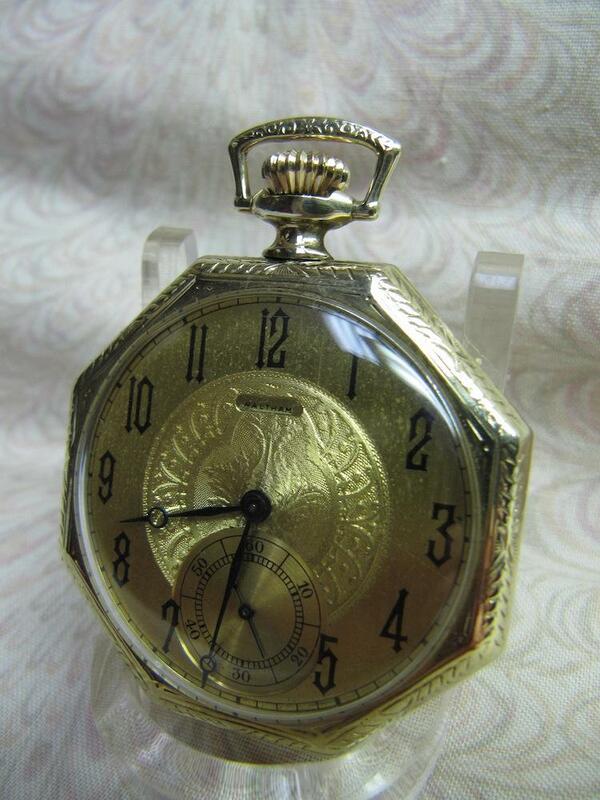 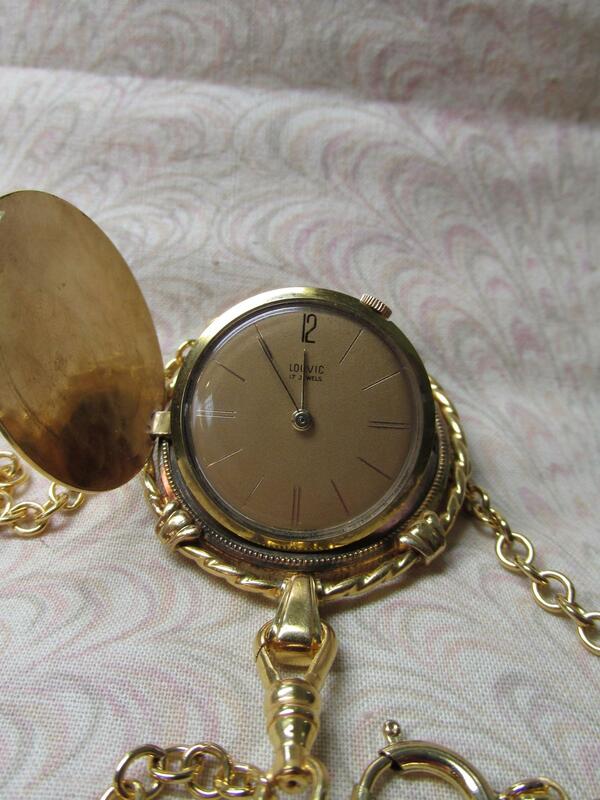 Ladies yellow gold filled 1905 Waltham mechanical open face pendant watch. 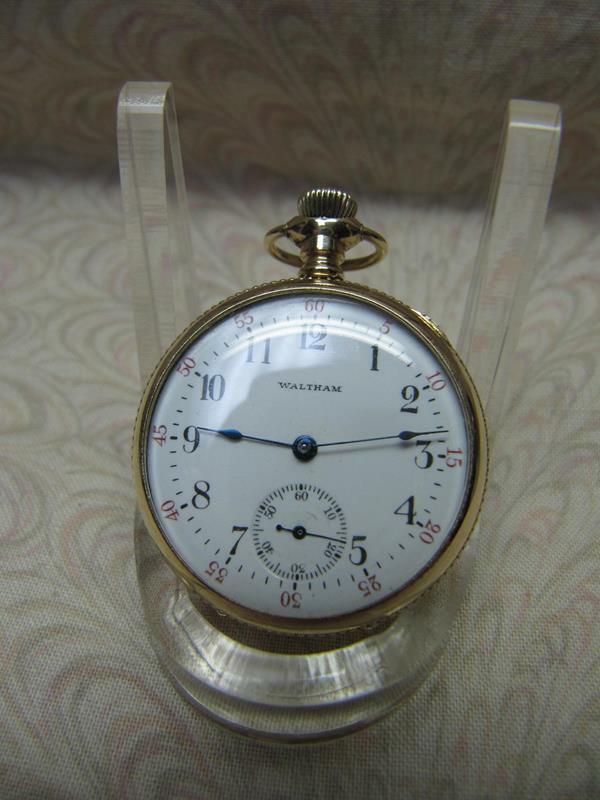 Watch features a yellow gold filled case measuring 33mm, yellow crown, yellow bow, glass crystal, white dial, black and red Arabic numbers, blue hands, a blue sub second hand, and a 17 jewel movement. 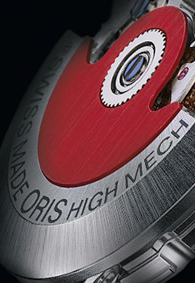 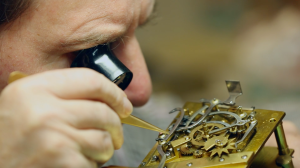 This watch features engraving on the back cover.